Our pick of the best Assault Rifles in the game. 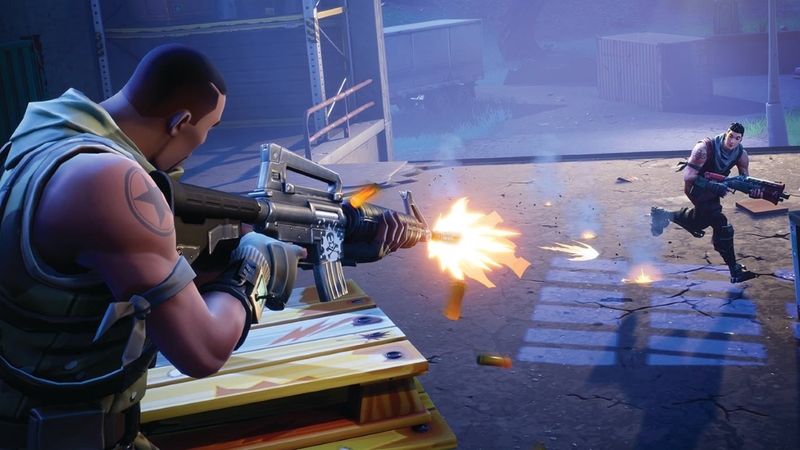 Our Fortnite: Battle Royale guide to the best Assault Rifles in the game covers the Burst, M16, SCAR and Scoped. 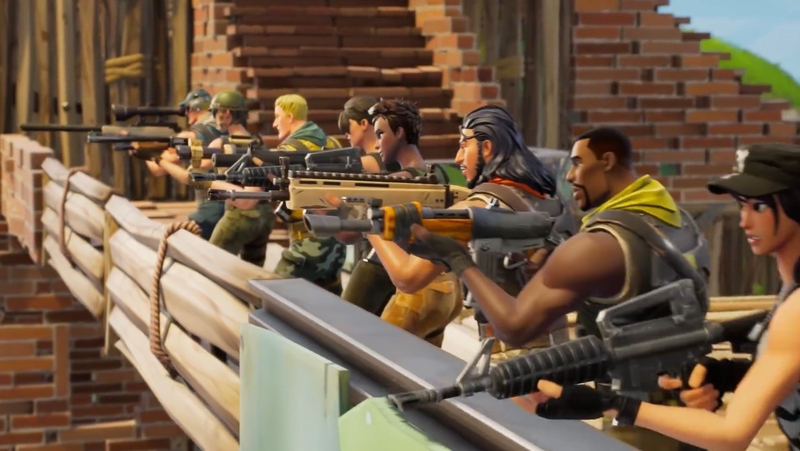 Among all the weapons in Fornite: Battle Royale, the trusty Assault Rifle rises above all of the rest when it comes to reliability. Submachine Guns, Shotguns and Rocket Launchers all serve a distinct purpose, from shredding enemies at close range, to blasting forts from afar. Assault Rifles are capable of dominating in both departments though, making them an essential element of anyone’s inventory. If you’re ever looting and stumble across an Assault Rifle, no matter what variant it may be, make sure you stash it in your inventory. You’ll have an all-rounder that’ll give you the ability to dispatch enemies in pretty much any given situation. When it comes to the many different types of Assault Rifles, there are some that you should keep a particular eye out for. It can be difficult to work out which weapon would best suit your needs at a glance, especially as you’re given no real indication as to how powerful each one might be without trying them out. Below we’ve put together a helpful guide that’ll break down the strengths and weaknesses of each Assault Rifle and we've ranked them based on our personal experience of wielding each one in combat. Keep in mind that all of the guns in this article have situational benefits. By no means is this a definitive list, and we’ve ranked them according to how well they perform in a number of scenarios, or just how easy they are to handle overall. They’re all strong in the right hands! With this semi-automatic Assault Rifle you’re able to zoom in and fire off hyper-accurate shots at enemies in the distance. There’s no bullet travel time either, which means it’s capable of chunking health bars down hard with some highly effective point-and-clicks. While it’s pretty powerful and certainly able to deal some real damage to targets at range, it’s also the least versatile of the lot. Hip-firing is horribly inaccurate though, so at medium to close range you’ll be forced to zoom in and limit your movement in the process - not ideal. For long range engagement the Scoped Assault Rifle is worth trying out, but other weapons on this list are on a par with - or outright eclipse it - in every regard. Pulling the trigger with the Burst Assault Rifle fires off three accurate rounds, which makes it a brilliant tool for dropping enemies at medium to long range. It’s perfect for those who struggle to control recoil as it forces you to be patient and steady your aim between bursts of fire. We’re huge fans of this weapon as it’s very effective in most scenarios and easier to handle than the fully automatic Assault Rifles higher up this list. Ironically, it’s also let down by the one factor that gives it an edge - the inability to spray enemies down at close range. One of the most common Assault Rifles in the game, the M16 is a solid all-rounder that’s better in close to medium range engagements than just about all of the others in this list. Learn to control its high spread and recoil, and you’ll be able to eliminate enemies in an instant. Much harder to find than the M16, the SCAR is that weapon's bigger, badder brother, and a gun that’ll handle anything you throw at it. Outstanding accuracy, big damage and effective at pretty much any distance. You simply can’t go wrong when you pick up this gun. There’s no unique characteristic or single, overpowered element to its design, it’s just brilliant in every regard. Lucky enough to find one? Add it to your arsenal immediately. Check out our weapons tier list with stats page for even more info on the best guns in the game!